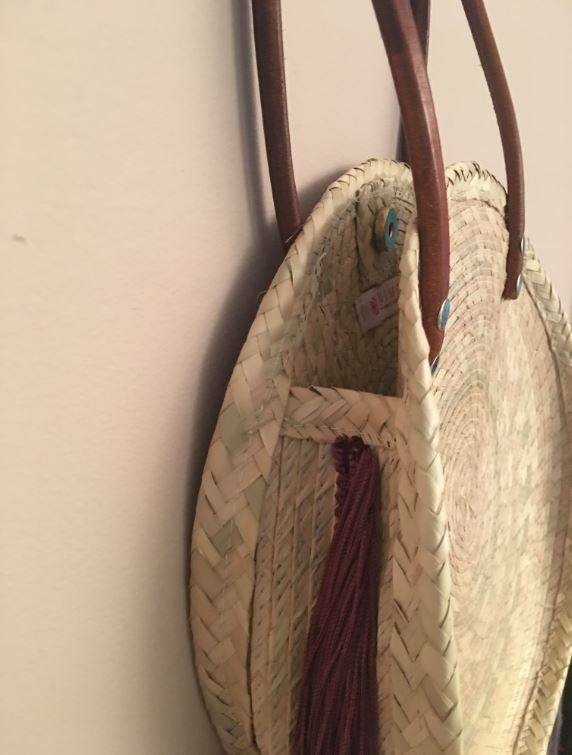 Go bohochic with this handwoven circle bag of palm leaves! 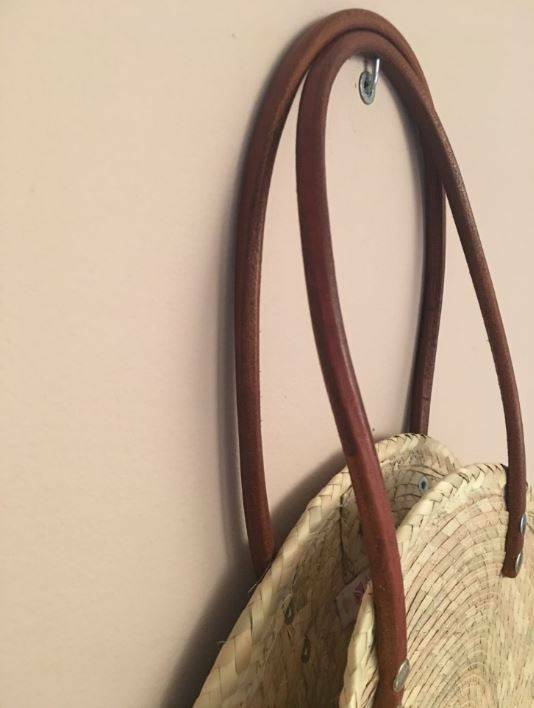 Go bohochic with this handwoven circle bag of palm leaves! The leather straps and mauve fringes make this it-bag unique. This small Mexican fashion accessories brand is run by Alejandra, a young creative designer and entrepreneur, living in a paradisiacal bay on he West Coast of Mexico. Inspired by local beach-life and artisans, Alejandra started her own collection of fashion accessories. What I like about her collection is that she gives a personal and contemporary twist to traditional handicrafts. She works with very traditional products and techniques; but she always comes up with new ideas to make them actually fashionable! Sometimes it is just about a small detail. And when she notices others do the same, she manages to find another innovative version. Her talent and refined sense of style gets picked up by high-end fashion shop until Tulum, the paradise for stylish travelers with love for nature, natural materials and sober designs. Alejandra works together with a community of local artisans in Guerrero, founded to create a better life for their families. MATERIALS & TECHNIQUE: handwoven bag of palm leaves with leather strap and black fringes. Handmade in Mexico.